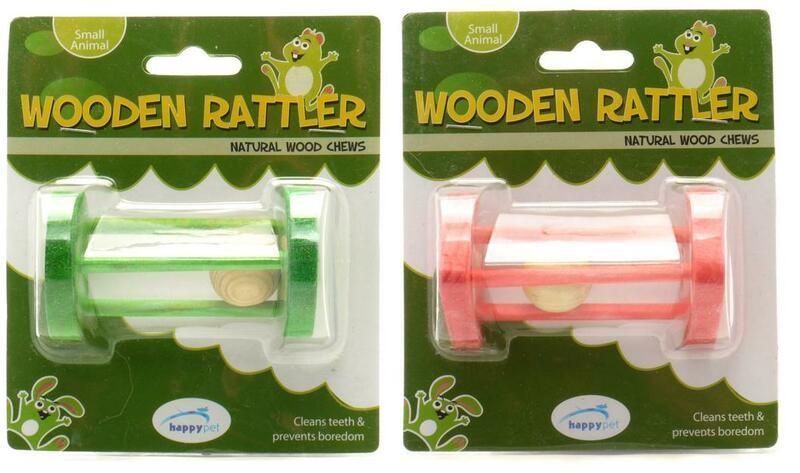 The Happy Pet Wooden Rattler is a natural and safe chew for your small animal. It helps prevent boredom and also help your pet's teeth stay healthy and clean. The rattle from this fun toy will keep your small pet's interest. Below are some recent questions we've received regarding Happy Pet Wooden Rattler Natural Wood Small Animal Chew, including answers from our team. It's approximately 9cm long (3.5").